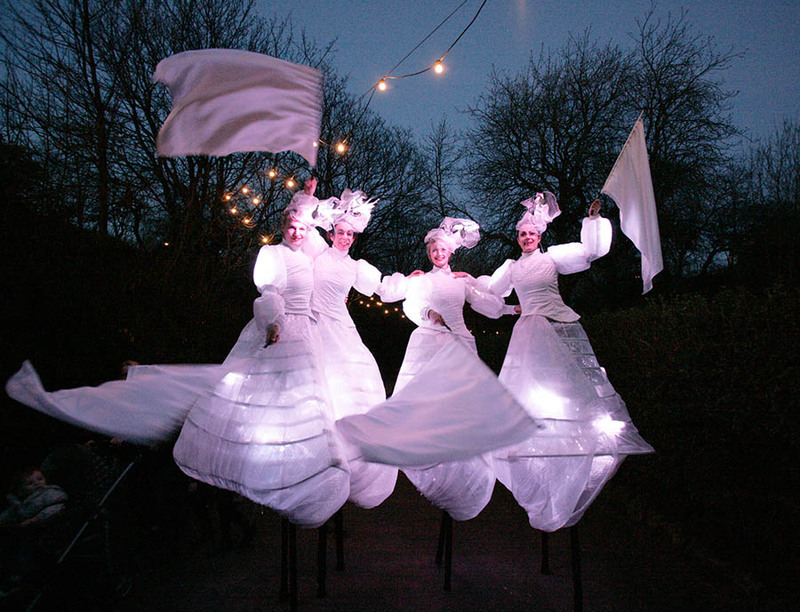 The Lightwalkers are an uplifting magical celebration of light and artistry, a visual spectacular that instantly fashion a special kind of wonder and excitement for audiences of all ages. Please have a look at our video. 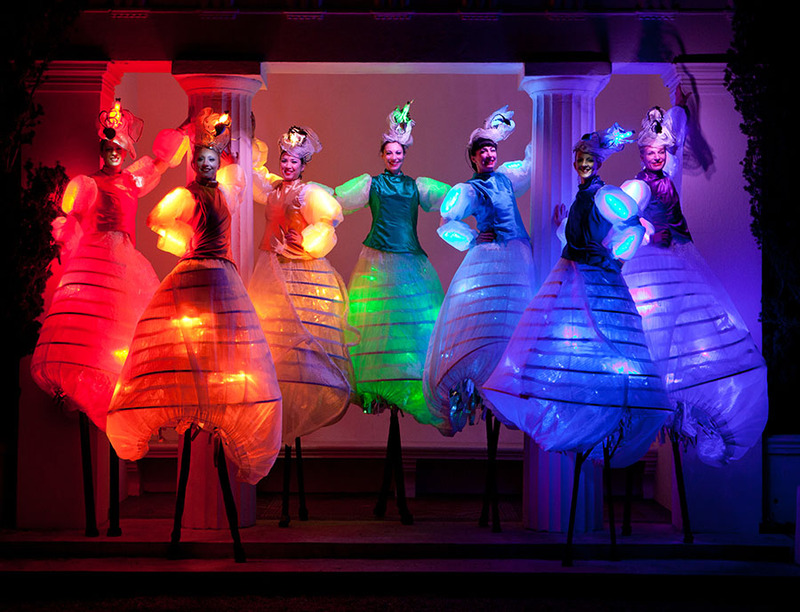 As a walkabout they can enhance any event by using their colours to match a chosen theme or logo, or simply leading processions, lighting up spaces and changing focus with their rainbow spectrum of illuminations. 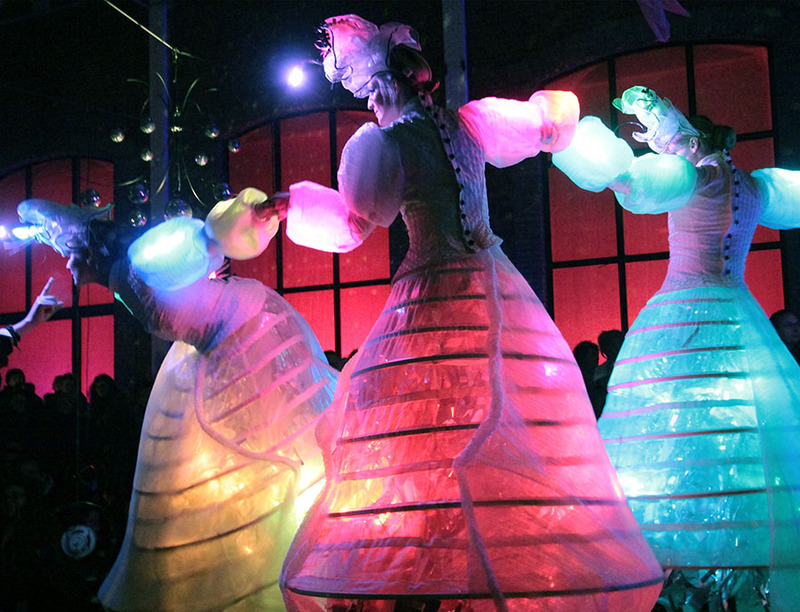 As a focused show they will mesmerise their audience with simple, starkly beautiful images in a multicolour swirl of costume and light. 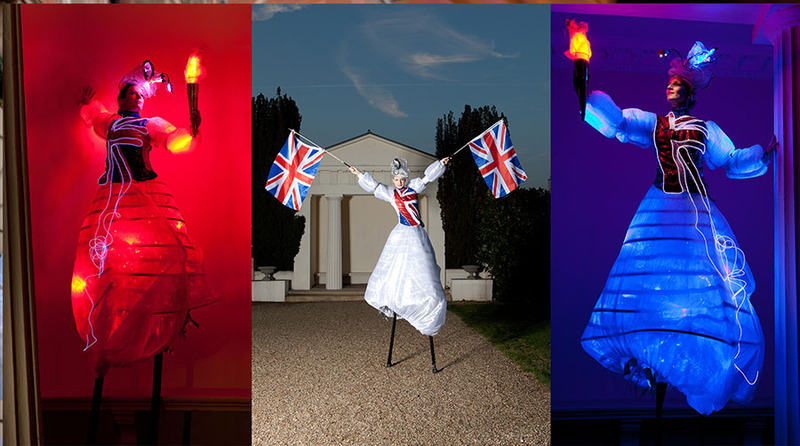 We also have the Britannia Lightwalkers for British themed events with the Red, White and Blue Lights for the evening. Follow the link to see more images and video. 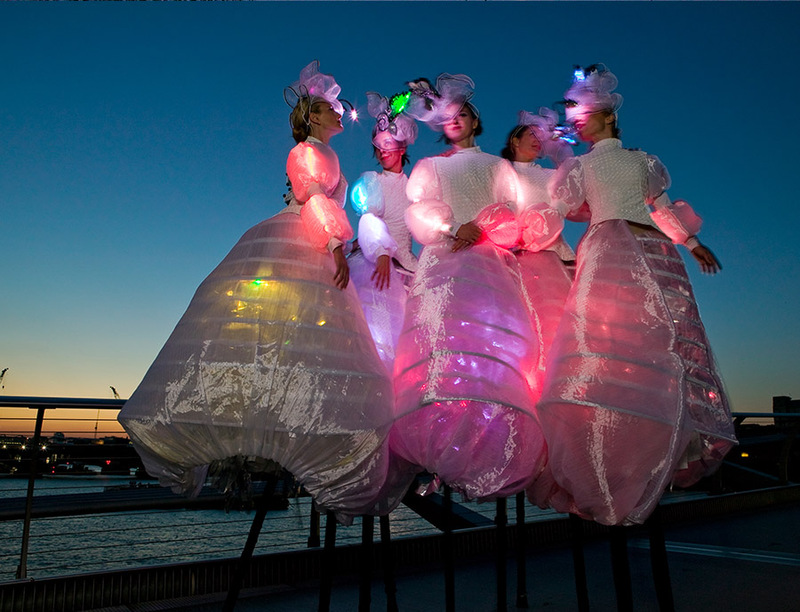 Parades, Diwali, Halloween, LED themed events, Glow parties, Neon parties, Fairy themed parties, Gaming parties, Space themed parties, Weddings, Festival of Lights. Christmas Celebrations, Midwinter Festivals, Yuletide, St. Valentine's day, Red and White theme, Christmas Lights Switch On and Parades. 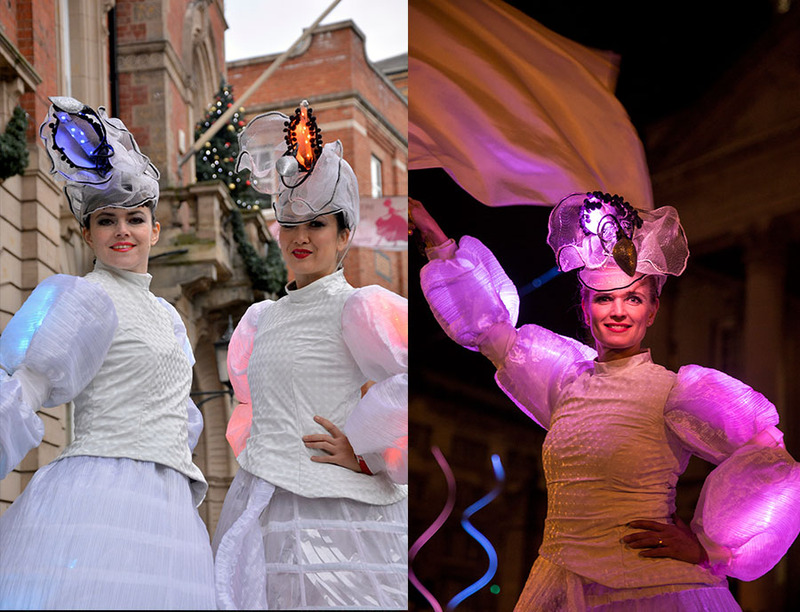 We can program any colour in the Lightwalkers to fit the theme of the party or the logo of your company. 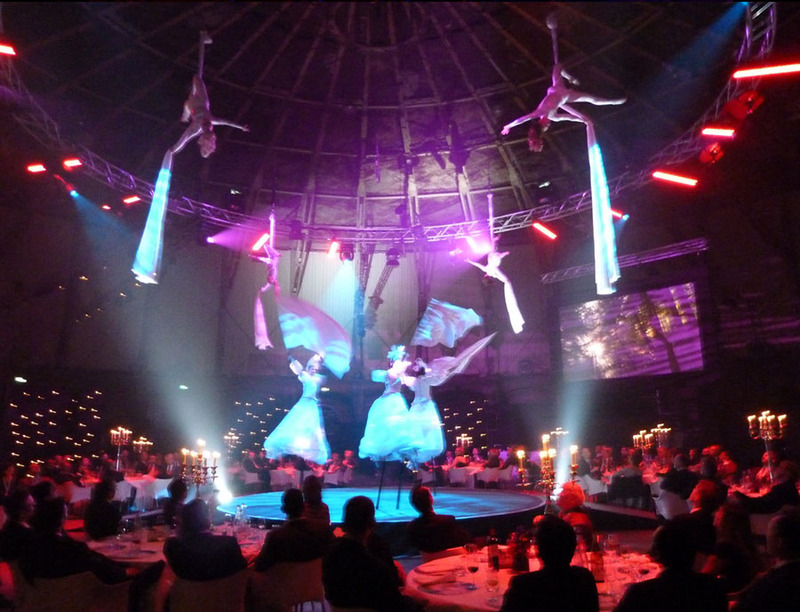 You can book 2, 3, 4, 5, 6 or 7 Lightwalkers for your event. "And I’m not surprised you were a wow factor!! You’re luminous outfits are amazing!!"